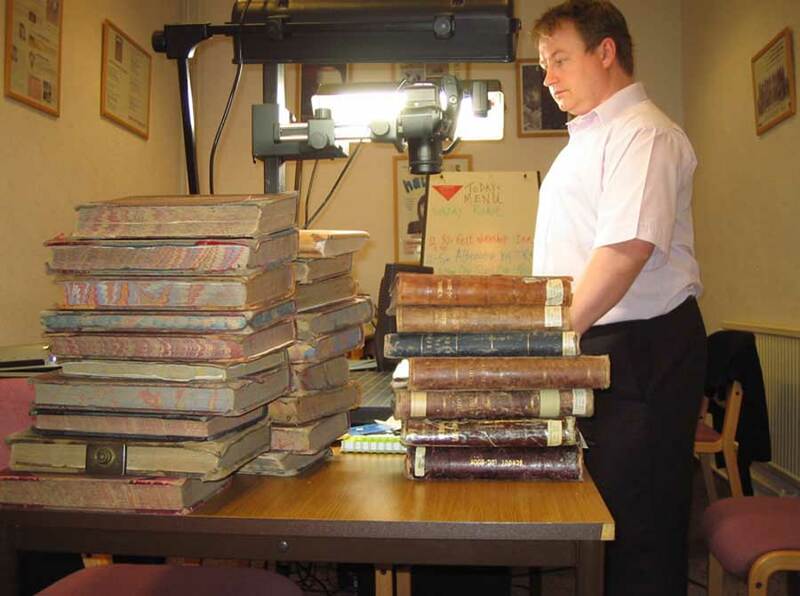 With our off-site digitisation service the materials to be digitised are transported to our digitisation studios in Northamptonshire and scanned there. 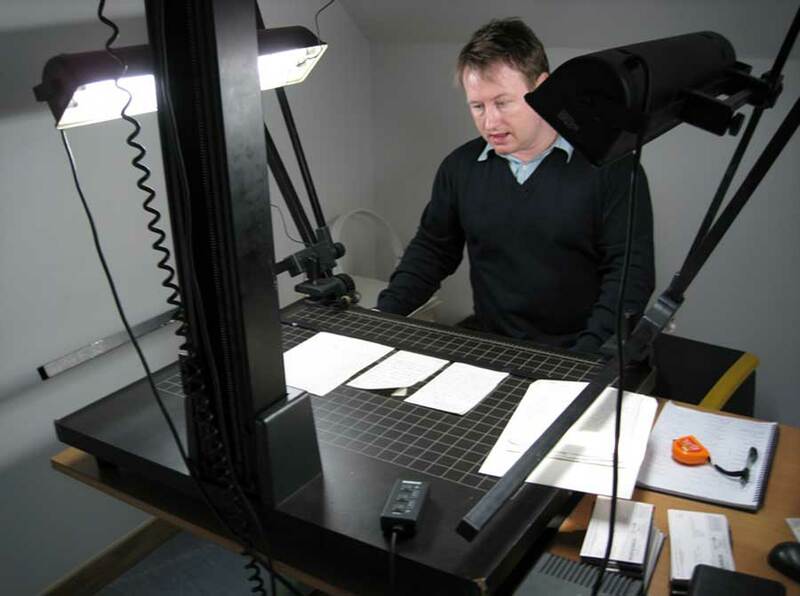 This option is often best for mixed collections, as multiple pieces of scanning equipment may need to be utilised to digitise the various mediums. Many of the items that we are asked to digitise are rare, precious, valuable and fragile. We are therefore happy to arrange a time to personally collect and then return the items using our own staff, who are fully trained in the handling of precious archive materials, and GPS tracked company vehicles (not an independent courier). For less fragile or valuable collections clients are welcome to send the items to us via post or courier, and we will return them the same way (generally insured). If a client chooses our on-site digitisation service, our Imaging Technicians travel to the client’s premises together with our portable digitisation suites and perform the digitisation on location. This service is particularly valuable for clients with collections that are too old, fragile, and precious to be transported without incurring unacceptable risk of damage. We are happy to digitise in any location throughout the UK (England, Ireland, Scotland & Wales) and to most destinations within Europe. We will supply all of the equipment and staff to work at your premises for the duration of the digitisation phase of your project. They have a ceiling height which is at least 1.7m from the top of the desk. We are happy to work within your normal office hours (e.g. 9am to 5pm) however it is normally beneficial for us to work extended hours during our period on site – typically 8am to 6pm. Only the digitisation element of your project is completed on site. Post image processing is normally performed off site. The portable equipment that we use for on site projects is capable of digitising items up to A1 (89cm x 59cm) at 300 DPI. Find out more about Medium Format digitisation. Would you like more information location digitisation?